My store focuses on toys that develop Gross Motor Skills but what exactly are gross motor skills and why are they important for your child? I’ve been visiting kindergardens and pre-school centres to give presentations about this topic. 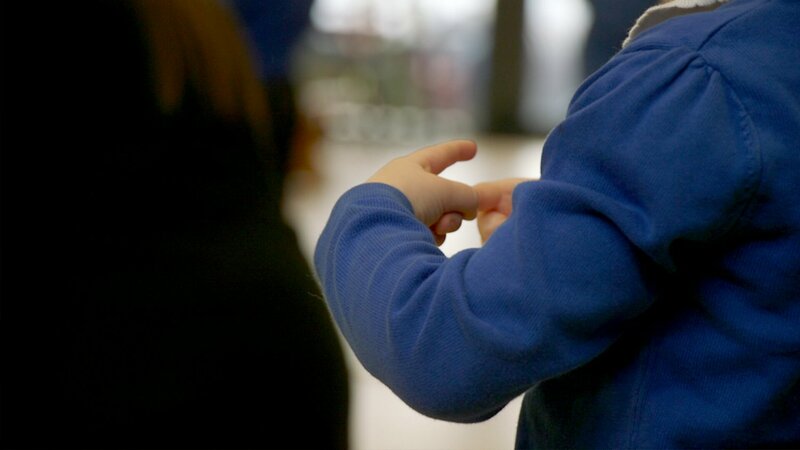 The take home message is that developing gross motor skills not only helps your child in building the skills for any physical task such as walking, running, sitting upright, throwing, jumping, skipping etc. that they might encounter in their lives. BUT, by developing these skills, your child will develop sections of the brain that will have a positive impact on their ability to read and write at school. Gross Motor Skills are defined as all the processes in the body that are involved in the movement of large muscle groups. So this starts with the sensory system detecting the stimulus. Involves the nerve cells through out the body. 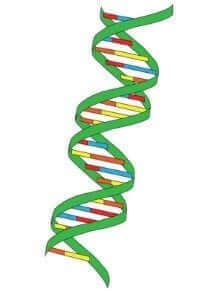 Then, processing by the nerve cells in the brain. Finally the muscles bring about the action. But also proprioception, a sense that measures the relative position of parts of your body and strength of effort applied (this involves muscles, tendons and joints). And the Vestibular system, located in the inner ear, which is involved in balance and spatial orientation. 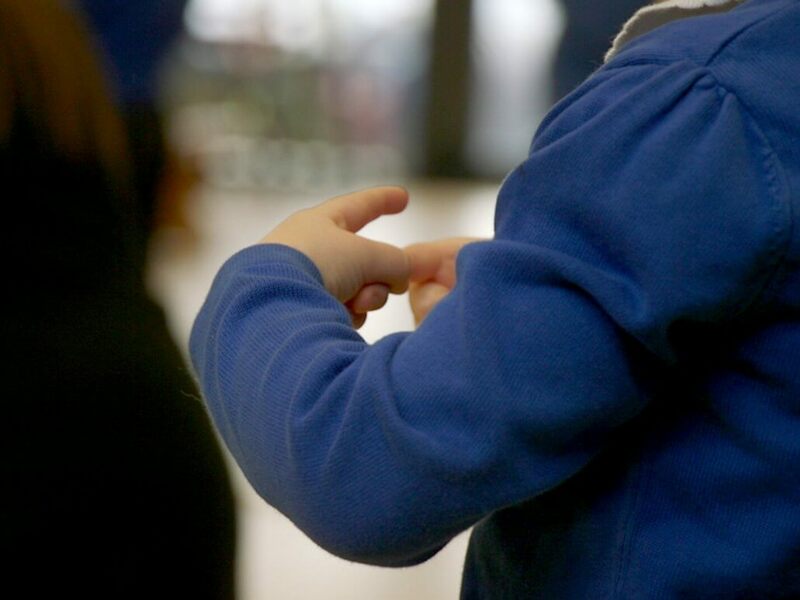 These two further senses are sometimes linked together to be called the movement sense. Why are Gross Motor Skills Important for your Child? According to the Health Survey for England 2015 28% of children aged 2 to 15 were either overweight (14%) or obese (14%). There is an increased chance of psychological problems such as depression. A reduction in the development of gross and fine motor skills that can cause learning problems at school. This last bullet point is a key one for me. There are many research articles that are highlighting this developing problem such as this one from The Independent Education News section. Without appropriate development of gross and fine motor skills, children have a reduced ability to grip a pen or pencil or sit upright at the desk for learning. They don’t have the endurance to last a whole day at school. Some can’t track with their eyes across the page to read or move their hands across a page to write in a coordinated way. 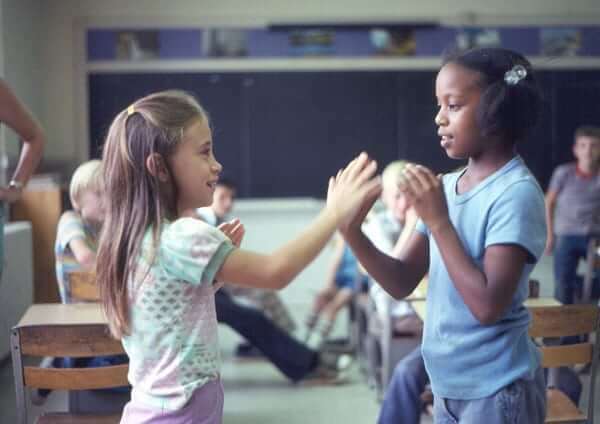 Many children haven’t built nerve connections between left (speech and language processing) and right brain hemispheres (visual spatial and face recognition) effectively to co-ordinate learning. It’s a worrying trend! How do Gross Motor Skills Develop? initial map for brain development. the size of your child’s adult brain. By 3 years old, it’s at 80%! It’s not just about the quantity of nerve cells though, it’s all about the connections! 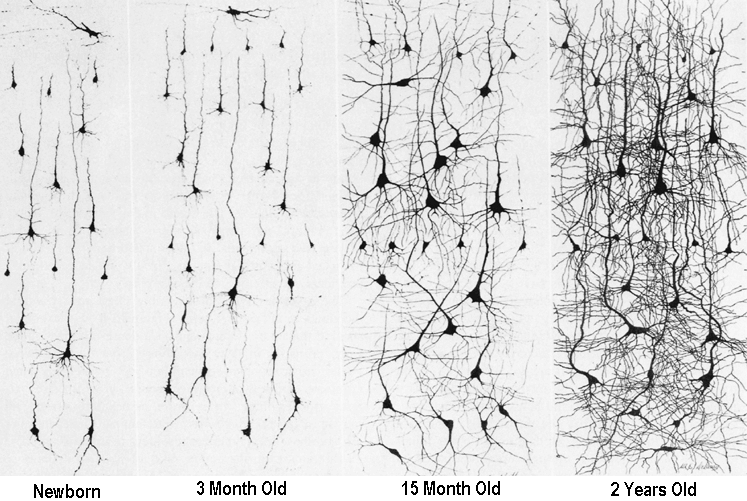 Significant connections or synapses get made between nerve cells (neurons) during the first years of a child’s life. This effectively programs child development. 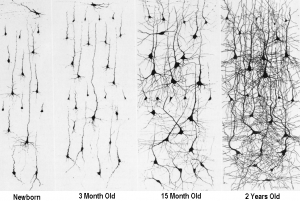 A 3 year old will have around 1000 trillion brain connections or synapses which are selectively pruned later on in life. Nurturing relationships they form with their carers. So, it’s vital that they are exposed to a range of age appropriate experiences that help build these connections in a positive way. Not only that, the more often nerve cells pathways fire, the stronger the connections will become so repeated practice at the same activity will help stabilize these connections. 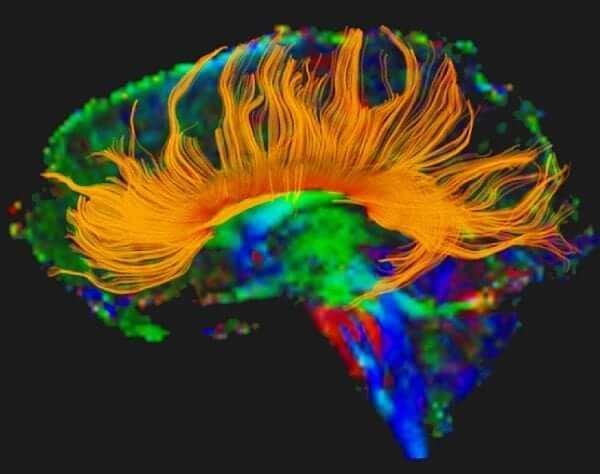 As these brain pathways stabilize, it makes them much harder to change later on. It’s vital to get it right early on in a child’s life. 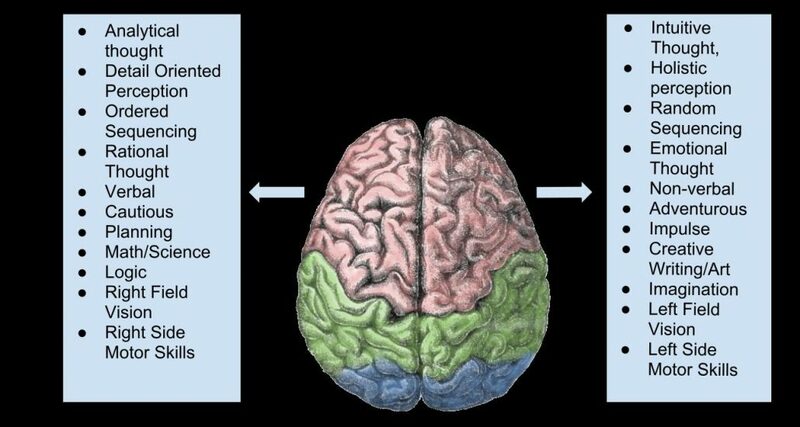 The foundation of brain development is so important too as higher level pathways are built on lower level ones. You need a strong foundation to gain the more complex and higher order brain processing that will happen later on in their lives. Invest in your child’s physical development early on and you will be helping to develop an active, well connected brain that will allow your child to flourish at school. 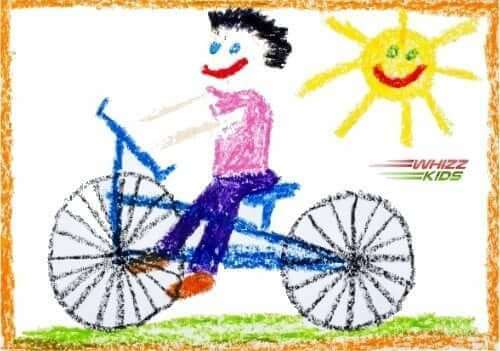 Check out my post Did you know poor Motor Skills Development can impact your Child’s Learning? 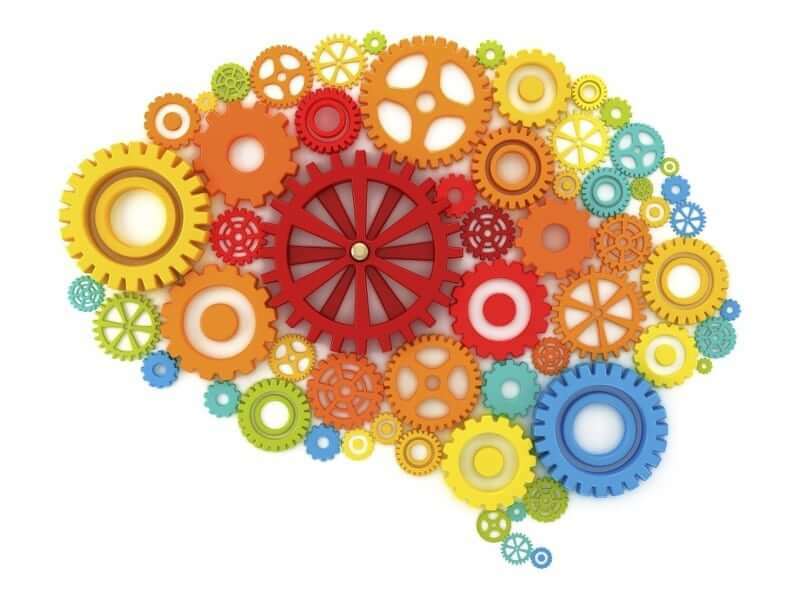 to find out more on the link between motor skills and a well connected brain ready for learning.